We’re very lucky to get to work with such talented, nice people and we’re happy to be able to share some of their testimonials here! The Youth Association is Yorkshire’s youth work charity – they’ve been working with young people since 1904. They had an idea for an innovative app to capture evidence of the impact their services have on young people. LightStart is working with them to design and develop their multiple apps, web platform and infrastructure – from idea to delivery. Drydensfairfax are the UK’s largest specialist debt recovery firm. As part of their ongoing process of digitising their services, they asked LightStart to review their collections process from end to end. We provided requirements gathering workshops, recommendations, wireframes and lots of specialist digital analysis. 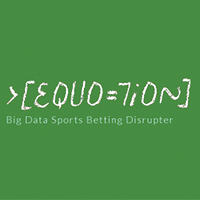 Equotion is using big data and some very powerful analysis, to create a more scientific approach to betting. LightStart is working with Equotion to provide analysis on the best way to bring their highly disruptive platform to mobile users – at home and out in the field! Little Bird Told Me consists of a team of toy specialists who are dedicated to making the world of little people and grown-ups that little bit more special. The product ranges offer an exceptional choice of developmental activity toys, innovative infant rocking animals & horses and nursery accessories, all of which are presented in beautiful eco-friendly gift style packaging. 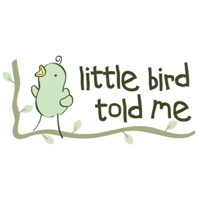 LightStart worked with Little Bird Told Me to design and develop a fully integrated client facing and back office web platform, and are soon to build a new portal for all their trade customers.